Nostalgic for the era of VHS-video? Then you should pay attention to the application VHS Camcorder, which allows you to record movies in retro style, which was typical for cameras with VHS-cassettes. With this program, you can really surprise your friends with unusual video design. VHS Camcorder has all the characteristic effects for the format VHS: the date of recording and the name of the video, interference, poor color reproduction, unusual zoom and others. And the program has a characteristic interface. With the help of VHS Camcorder, you can create a video in the format of realistic films, with which teenagers often frightened each other. In the end, you can make your “Blair Witch” – you just need to shoot the video in a very low resolution. And VHS Camcorder is perfect for shooting video of parties – retro-style VHS again becomes popular. VHS Camera Recorder is a useful program for Android, with which you can not only edit the video but also record it in HD quality, using the Android camera. As you know, when shooting on rare cameras there are various errors, such as interference and distortion. So, touching and shaking of the display of our device, now such errors will arise. And without them, imitating shooting will simply not be of high quality. In addition, if you want, you can even set the date and time, which will be during the full duration of the video. By the way, it isn’t necessary to set an exact date, you can specify, for example, 1985. Shooting can be both black and white, and color. The resolution of the shooting also varies. In fact, the program has a huge amount of settings and functions, but we listed only the most important ones that should interest you. VHS Camera Recorder is a camera and video editor for Android in one application. The camera can record video with the effect of past centuries, but with excellent quality. This is appreciated by retro lovers. With VHS Camera Recorder you can change video settings, add sounds and much more. Vintage 8mm Video – VHS is an interesting camera for Android devices that will allow you to record the original video on your device! The developers tried to recreate the time of old video tape recorders and the quality with which they record so that you in our time could nostalgize for interesting old times. Vintage 8mm Video – VHS allows you to create video not similar to others, which is not a shame to show. Retro VHS – Old School Video is a program that can replace your standard camera. However, this is not a simple camera, it is a kind of old VHS record. Everything is stylized in the old days and therefore if you want to shoot the video as if in the old format, then this application will help you in this very much. That’s why any person can remember how it is, to shoot video in this format. Any video will look like it’s already tens of years old. It is for such features of the application, it is very loved by users. Because it looks very interesting and original. After all, no one wants to shoot standard and boring videos. With the Retro VHS application, you don’t have to think about how to impose the desired effect. All the necessary effects will be made immediately. The developers themselves say that their application is the best in terms of imitation of the VHS tape. After people shot the video they needed, they gladly shared it with their friends. Therefore, boldly download this program, because it will give you unsurpassed opportunities for shooting video. That is why we highly recommend this program to you. In it, everything is pretty clear, so you can safely use it to surprise your friends with original video files. In the end, it turns out that Camcorder – VHS Home Videos is a very interesting program that allows you to shoot video with the VHS effect. Therefore, it will be interesting for any user to experiment with such a video camera. Feel free to download the program to your devices. 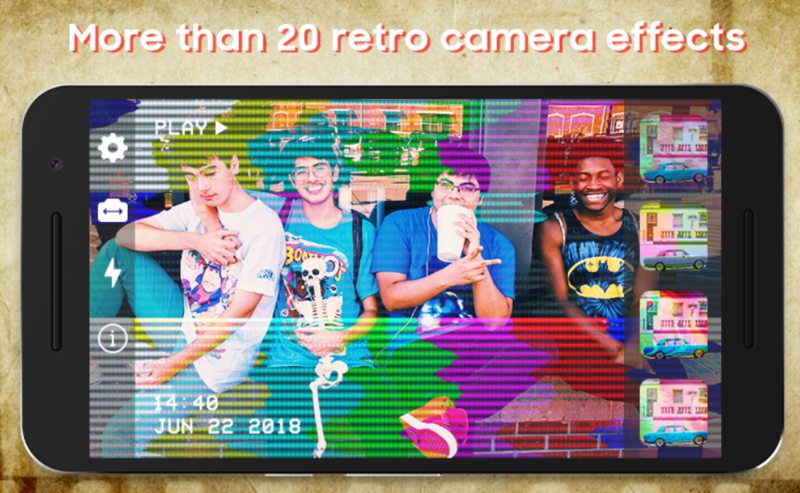 If you want to shoot the so-called retro video, then we recommend you this application! 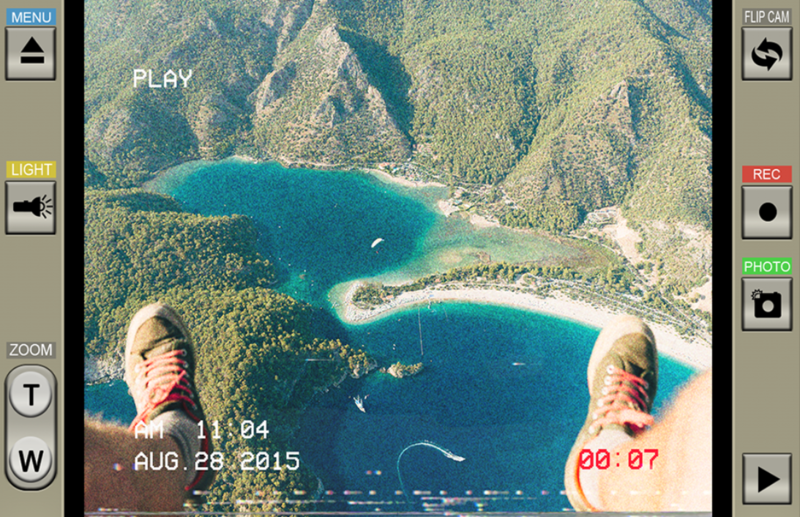 Thanks to this application, you can create vintage videos with a new smartphone, which makes the process even more convenient and attractive. To your attention, there will be the old menu, the line with the year and time of recording, as well as the interference function. It completely imitates the old video, which can not be distinguished from the films shooted thirty years ago. If you like to shoot memorable videos, run your blog or just love old technology and this method of shooting, then the application will be an excellent entertainment. With it, you can not only have fun but also remember children’s pictures and videos, which have natural noises. Surprise your friends with a new quality of shooting, edit and add different effects that will immerse you in the old days even more. It will be fun and unique, and memories will please you for a long time. The application for Android-devices, which allows you to simulate not only VHS but also 8-mm cameras. The program provides 35 video effects that turn your video and photo into a vintage image of the 60’s, 70’s or 80’s of the last century. In addition to overlaying filters, you can remove sound, add music, date, take a photo and post the result in Instagram. The developer of this application “Pear Labs” has a similar program “VHS Camera Recorder”, only for VHS-filters of the 80’s and 90’s. Record your videos in this way, as if the picture was recorded on a VHS cassette. Go back in time, when Android-smartphones were not dreamed of, and VHS was the most popular product.